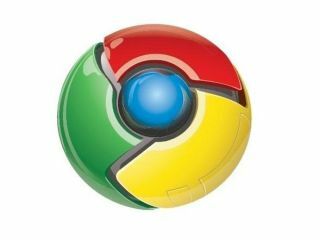 Google has released a beta update of its Chrome browser, as it looks to correct security flaws and usability issues. Although it quickly picked up over one per cent of the browser market at release, Chrome has slipped back to a reported 0.7 per cent, still ahead of Opera but a long way behind market leader Microsoft Internet Explorer, Mozilla's Firefox and Apple Safari. Chrome version 03.154.9 is a beta release to fix security bugs including the widely reported vulnerability that let sites potentially spoof addresses. Work has also been done on improving the reliability of some of the plugin browser add-ons including PDF reader and Flash, as well as fixing a bug that stopped scrolling on laptop touchpads. You can now add words to the in-browser spell check and Google has tinkered with the menu look and feel. You can try the update through the About tab in Chrome or through automated update.